Pokémon Go’s only been out for a day, and only in select countries, and yet the internet is already full of amazing photos from the game. If you aren’t familiar with Pokémon Go, it’s an augmented reality game that uses your smartphone’s camera and GPS to make it look like Pokémon actually exist in the real world. You use the GPS signal to hunt them down, and through the camera the game overlays an animated Pokémon character on top of real video footage of your surroundings. So you can find Pikachu in your pantry or Bulbasaur on a bus. 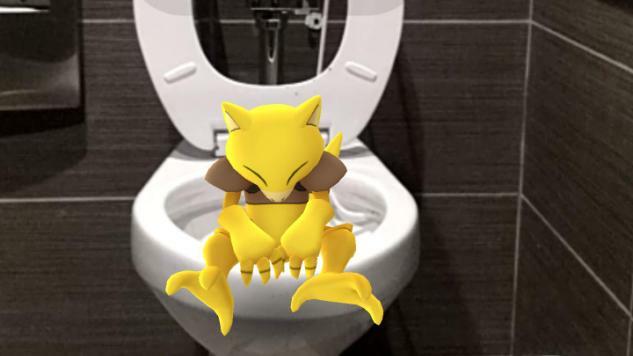 The subreddit Pokémon Go Snap has become the best repository of awesome Go photos, and we scoured through the entire list to bring you this collection of the very best.